Flourescent one and two coats colors available. 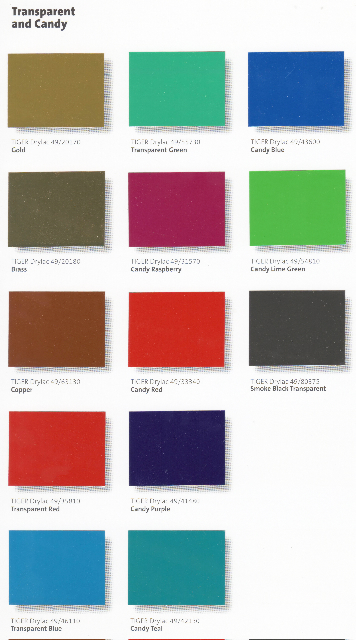 As you make your color/finish selection, please keep in mind that computer/printer color resolution varies. Exact matches are not guaranteed. 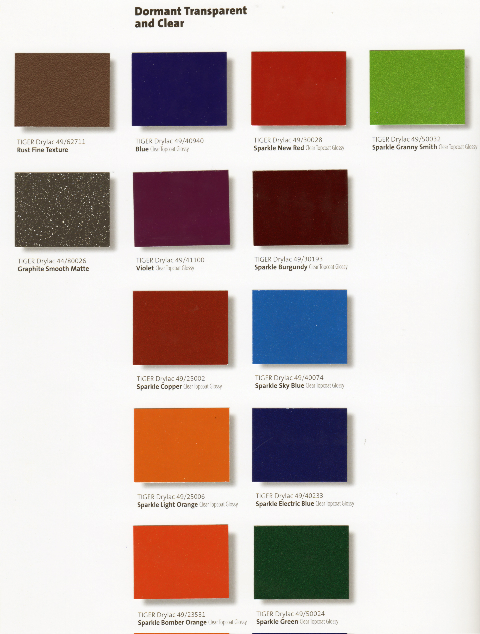 *Special Effects paint finishes show color only, not the texture or transparency values, reflective or metal-flake finishes. 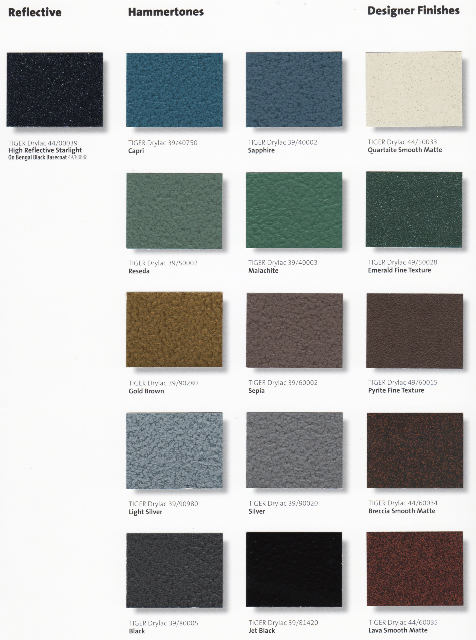 Please call for a color brochure to accurately see the real finish.